On Friday 22 March 2019, Redbridge Lodge No. 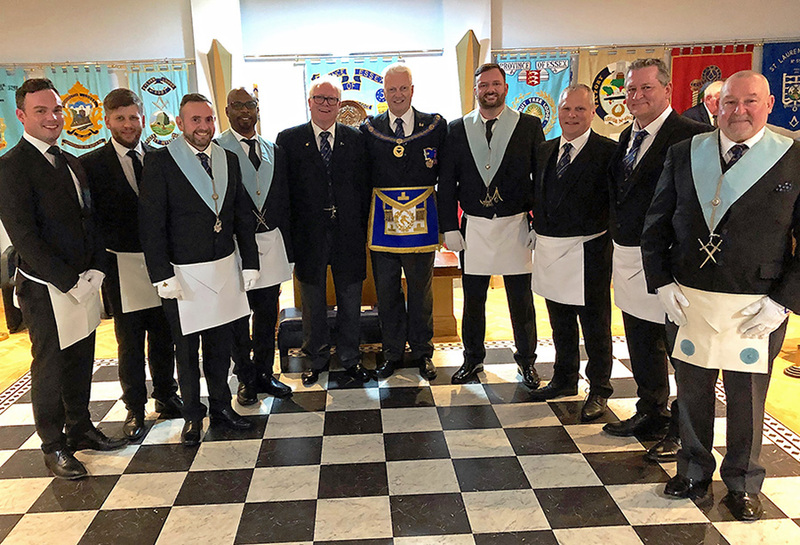 7145, the lodge that we have been helping to recover, carried out a double initiation for the second meeting in succession. This photo shows six of their brethren with two visitors, forming a very unusual group of seven apprentices and a fellow craft at one meeting. In the centre is the Master, Laurie Bourne, with visiting APGM Neil Beverley.